when i made the move to seattle, i decided it would be fun to work for an organic farm part time at the local farmer’s markets. 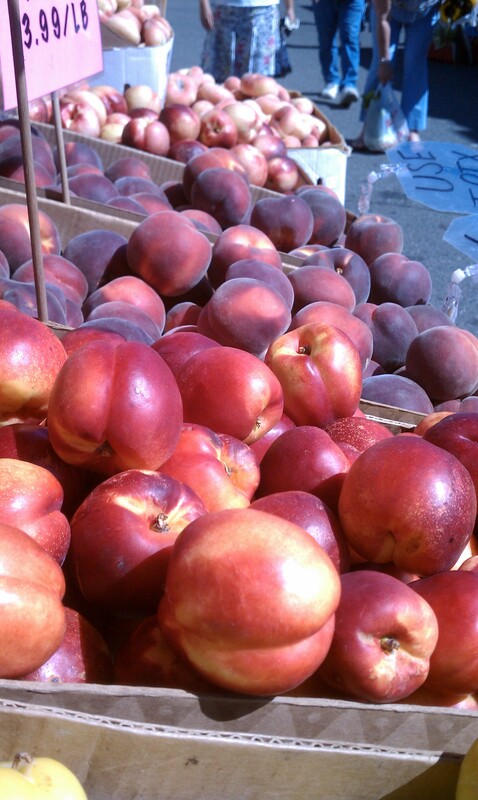 i love going to the markets and figured it would be a great way to get to know the area as well as other local farmers. let me tell you, this place is a mecca for for markets…and they are awesome. my stand at u-district market with emily visiting! 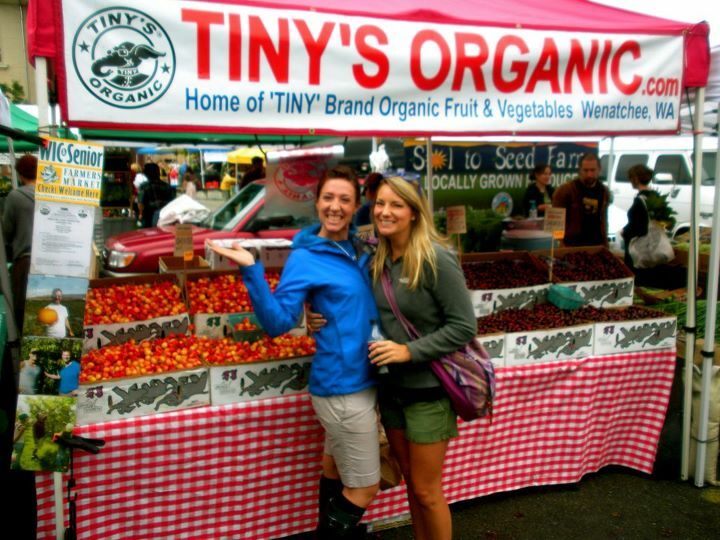 tiny’s organic is owned and operated by the mcpherson family located in east wenatchee, wa, on the east side of the cascade mountain range. what a great family to work for–i am spoiled with amazing fruit and veggies and love every minute of it! i decided to partake in their csa program to learn more about the types of veggies they grow and for you seattlites out there reading, this program is legit. everything in this program is grown right on their farm in eastern washington. 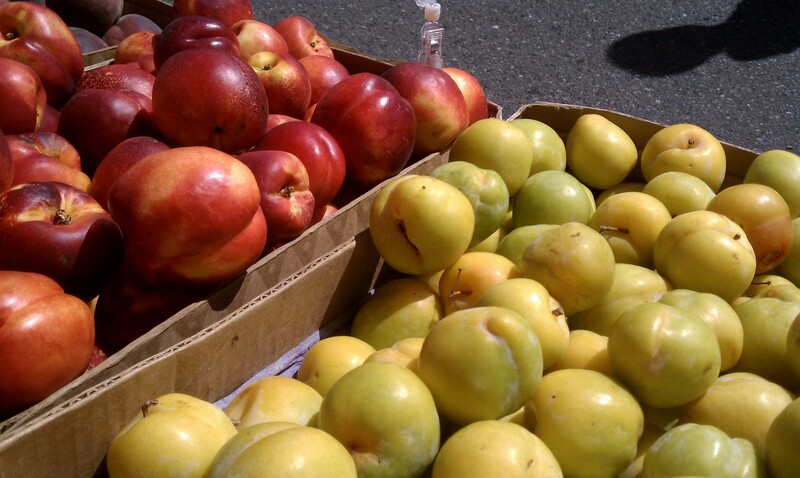 getting into the fall season now we have loads of apples, pears, and pluots–the infamous half plum/half apricot. so delicious! 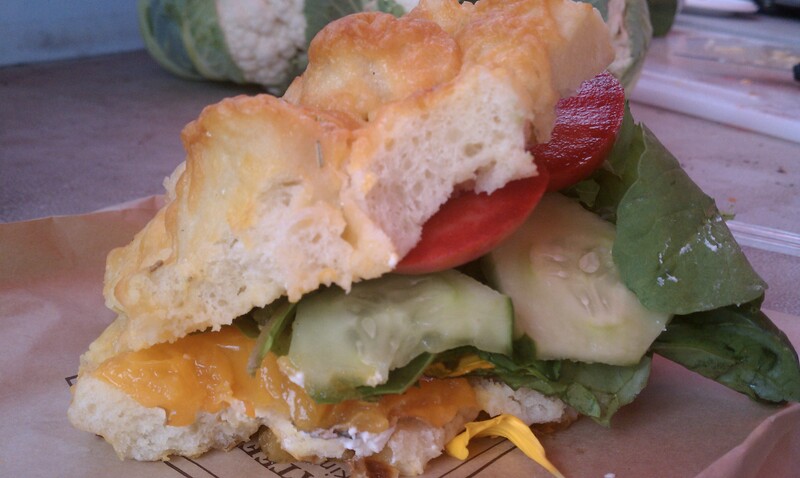 where else do you have the opportunity to go booth to booth and create your own sandwich on the spot with all amazingly fresh food? cheers to farming–as an iowan girl i can appreciate this community immensely!